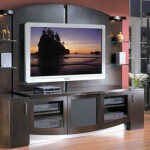 Mount your Flat Screen TV and 3 Speakers on the wall with your brackets. Secure TV mounting bracket on wall Studs. 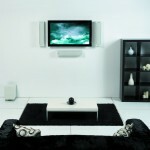 Mount up to 3 speakers or SoundBar on the wall close to TV. Home Theater TV installation warranty. 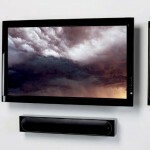 For mounting Surround speakers, See our Speaker Installation services. Here are some items you might need before the tech(s) arrives or let us know to bring sufficient stock. HDMI and/or RCA Audio Video Cables. TV Wall Mount Bracket that fits your TV.